A monthly Welsh language religious and general periodical for the children and young people of the Established church. The periodical was the Oxford Movement's organ in Wales and the cleric and antiquarian, John Williams (Ab Ithel, 1811-1862), who had been educated at Jesus College, Oxford, was its first editor. 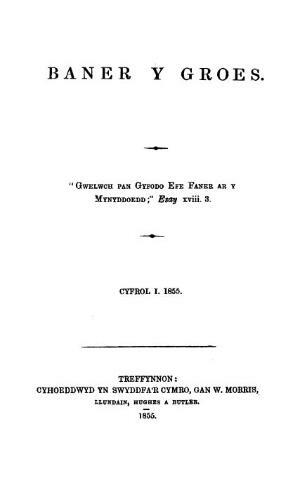 Following the periodical's resurrection in 1870, the pharmacist, author and printer, Robert Isaac Jones (Alltud Eifion, 1815-1905) became the periodical's editor.